This lovely two bedroom ground floor apartment is situated in the heart of Guernsey in St Martins. With St Martins Village being minutes away with shops and garages as well as other local amenities a short drive away. 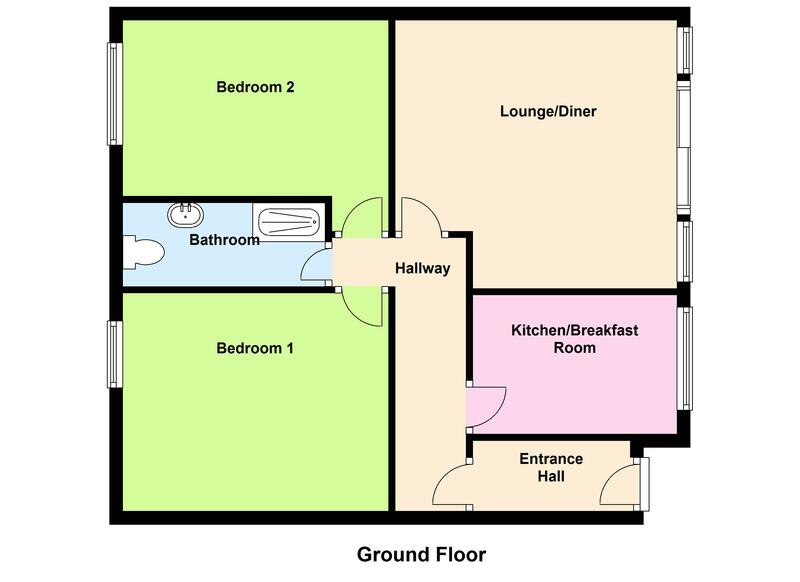 The accommodation comprises a spacious kitchen/breakfast room, two bedrooms, a family bathroom and a light and airy lounge/diner. The property offers one allocated parking space as well as visitors parking, there is a communal garden and patio and a large garden shed. This property would make an ideal retirement home, first time buyers property, downsize or investment. Contact Cranfords today to book your viewing on 243878. 7'8'' x 3'5''. Electric meters. 10' x 6'10''. Brand new Vaillant gas boiler. Appliances include Hotpoint washing machine, Hotpoint slimline dish washer, Hotpoint fridge freezer, Creda Gainsborough double oven with four ring hob and extractor fan over.